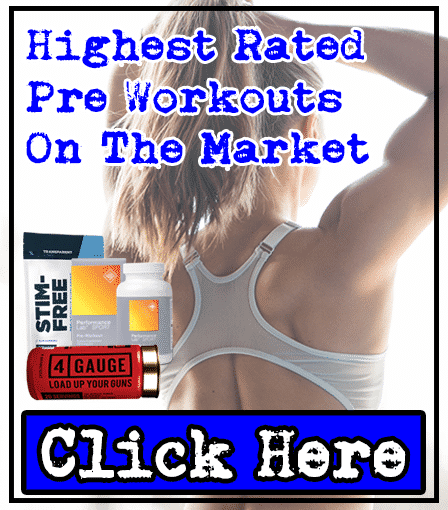 Premium Price - This pre-workout costs more than others, but it's also higher quality. Made by premium supplements company, Roar Ambition, 4 Gauge is new for 2017 - and looks like a hard-hitting product. We always enjoy reviewing new products, so we were excited when 4 Gauge arrived in its shotgun shell bottle. 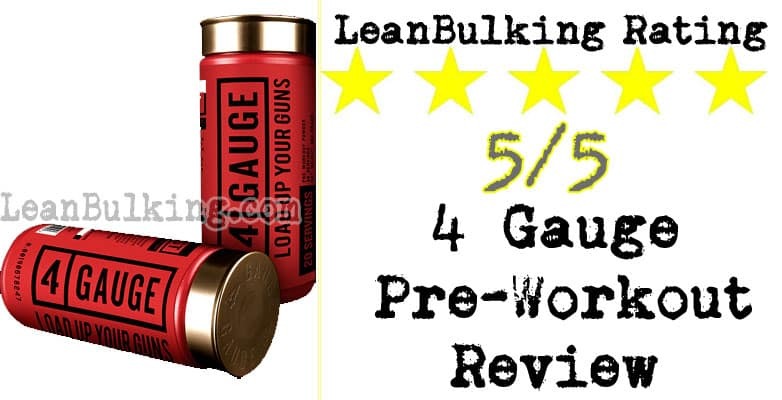 We were happy to see some key pre-workout ingredients inside, so we'll take you through everything about 4 Gauge in this review. 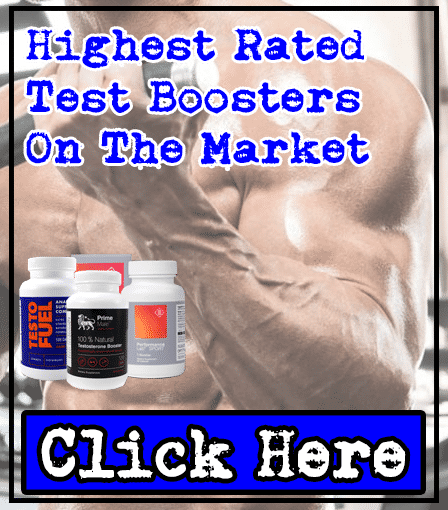 Roar Ambition is a premium supplements company that's well-known for its market-leading testosterone booster called TestoFuel. 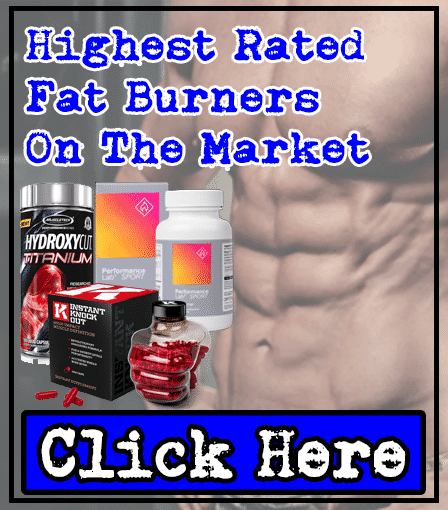 This company also market a fat burner that's used by UFC fighters, so it's safe to say it has a solid reputation. We've had good experiences with their customer service team, but we'll expand on this later on in this review. Anyway, we were impressed by the number of positive reviews about 4 Gauge, so we wanted to take a look for ourselves - to see whether it could back up these other reviews. In this review, we'll take you through our whole journey; from when we ordered 4 Gauge, arrived through our door, and whether it's worth trying out for yourself. But let's be honest here - it's the customer service that really matters - no-one wants to deal with companies that handle their customers badly. We'd heard good things about Roar Ambitions customer service (which we'd expect from a premium company). So after we had our questions answers by their team, we decided to make the order for 4 Gauge. No side effects - this product claims to deliver only benefits, without side effects. 90 Day money-back guarantee - we felt safe, knowing we could get our hard-earned cash back if we didn't like it. Free worldwide shipping - 4 Gauge arrived through our door really quickly, which we liked to see. It's made in cGMP and FDA approved facilities -made under strict regulations, so it's safe and reliable. Buying From 4Gauge's Website - Good or Bad? We've never had a bad experience with Roar Ambition before. Every product we've tried has come on time, with free delivery - regardless of where you are in the world. We actually prefer buying directly from Roar Ambition's websites, as we know Roar Ambition are reliable. Buying from other supplement stores or retailers (like bodybuilding.com or GNC) can be risky. Why? Because if you don't like a product, then you're less likely won't get a refund from bodybuilding.com or GNC. 128 Bit Encryption - the most secure payment method used online. 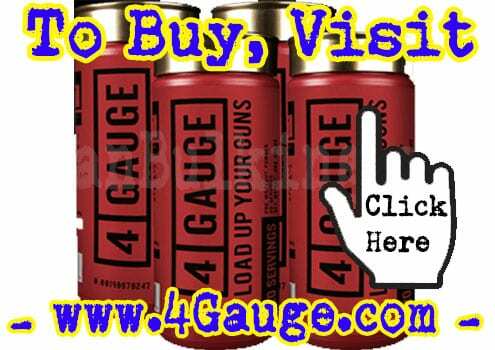 Only Available On Their Website - you'll never find a better deal than on www.4Gauge.com. Shipped By Reliable & Tracked Package Delivery Services - you'll receive a tracking number so you can check where it is. You Won't Be Rebilled For Anything - Roar Ambition has a great reputation, especially for not re-billing anyone ever. Discreet Shipping - 4 Gauge's delivered securely in plain & unbranded packaging. No Risk - no risk of wasting money due to the 90 Day Guarantee. If you're not convinced, contact their customer service team - we asked them a few questions to put our mind at ease. Why? Because, regardless of advertisement or marketing, a company can't lie about them. 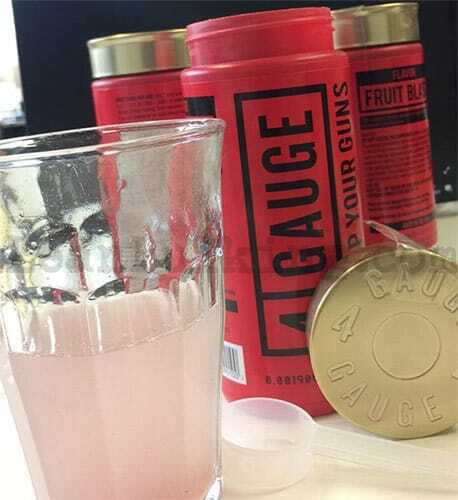 We were impressed by 4 Gauge's ingredient list - as it contained numerous key pre-workout ingredients. Also, the dosages are mostly optimal. This has shown to enhance muscle pumps in the gym in doses between 6,000mg-8,000mg. 4 Gauge contains 6,000mg Citrulline Malate, so this explains why it's effective. So how does it work? Answer: Citrulline Malate turns into nitric oxide in your kidney. Simply put, this causes your blood vessels to dilate (vasodilation), which results in increased blood flow and your muscles inflating while you perform bicep curls or squats. As Arnold Schwarzenegger said - "The greatest feeling you can get in a gym or the most satisfying feeling you can get in the gym is the pump." There's a reason why this has been used by bodybuilders since the 1990's - it works. Creatine Monohydrate is added into many products, but it is most commonly taken separately. It's slightly under-dosed in 4 Gauge, but this allows you to take Creatine with your protein shakes - so whether it's good or bad depends on your preferences. One thing's for sure - it's a key pre-workout ingredient, as it's proven to boost your strength and endurance in the gym. The enhanced focus will help you make the most of every rep - improving 'the mind-muscle-connection' (MMC). This should lead to better results in the gym. These two benefits make ALCAR one of our favorite pre-workout ingredients. This is another ingredient that promotes muscle pumps while you lift weights. Why? Answer: It's shown to improve blood flow and enhance endurance in the gym. This is why so many athletes include Beetroot in their diets. Beetroot Extract is an effective ingredient - that's not usually seen in other pre-workout supplements. Ultimately, this helps set 4 Gauge apart from the average pre-workouts. This isn't the most exciting ingredient in 4 Gauge. But it helps you stay hydrated throughout your workout. How? Answer: Because it contains a high amount of electrolytes. There are no negatives to having Coconut Water Powder in 4 Gauge, so it's a great bonus ingredient. Not many companies are aware of this combo, so we were impressed that Roar Ambition had included this in 4 Gauge. This shows us hours of research went into this pre-workout. This allows you to consume smaller doses of caffeine while enjoying its benefits - keeping you safe from side effects. This herb's been used in traditional Chinese medicine and Scandinavia for centuries. Why? These are both key benefits that will boost your gym session, so it's a great ingredient to have in 4 Gauge. What are others saying about 4 Gauge? We always enjoy looking at other people's experiences with the products that we review. After reading many reviews online and on YouTube, we were glad to see many positive experiences. Many specifically liked being able to take a 'double serving' of 4 Gauge - on days when they needed an extra boost. "Hey, guys just wanted to drop a line and let you know how much I am enjoying 4 gauge. I took a leap and bought two bottles. This is by far the best and cleanest energy pre-workout I have run across. You can immediately tell this is a quality product. I actually want to stay in the gym longer! Training 6 days per week, usually being up at 5:30 am and hitting the gym by 6 am, I have zero issues immediately hitting the weights or cardio and being ready to go with 4 gauge. I have been telling as many people about it as possible. You have a customer for life with this kind of quality product." We didn't experience any side effects when taking 4 Gauge. We believe that this is due to 4 Gauge only containing 100% natural ingredients - without any artificial sweeteners. However, as with any pre-workout or products containing caffeine, we recommend not taking 4 Gauge close to your bedtime or alongside coffee. In fact, to stay safe from risks of jitters, we recommend avoiding coffee on days that you take 4 Gauge (this is an extreme precaution but safety first!). One other thing: we recommend trying a normal serving of 4 Gauge first, before increasing the dosage. 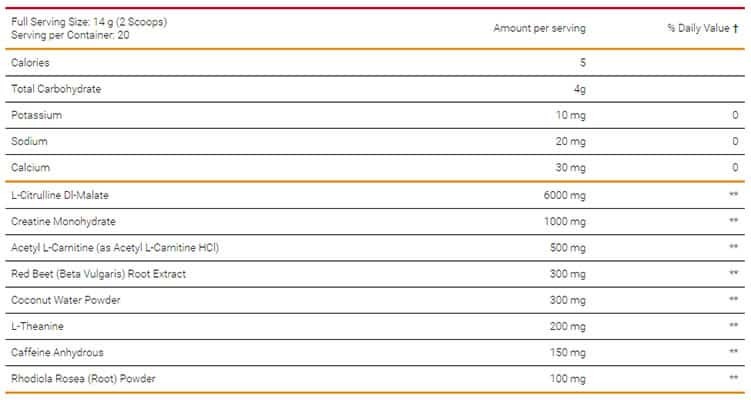 It's advertised that you can take a 'double serving' of 4 Gauge, but just assess your tolerance beforehand to make sure. We personally wouldn't go for the double serving option as we have lower tolerance to stimulants. We were really impressed with 4 Gauge. Everything from its taste, to its results, were great. As we've mentioned, we didn't experience any side effects - if you take the correct serving, you shouldn't either. Keep reading to find out our experience below. So it's flavor is described as 'Fruit Blast' - and we think it's probably the best way to describe it. It's like fruity sherbet ice cream in a powder - slightly bitter at first but tastes great once you're used to it. It's become one of the best tasting pre-workouts we've tried so far (as of 2017). How did it help us? Intense muscle pumps - our arms and legs were definitely bigger when lifting with 4 Gauge. Steady energy boosts - great 'kick' without any energy crashes, which sets 4 Gauge apart from other pre-workout's we've tried. Elevated focus - we like to talk between sets (we're only human), but 4 Gauge really helped us concentrate on our gym session. Increased strength - perform your best in the gym, great to help you push past a plateau. As we've mentioned, we didn't experience any side effects, which is very important to us. We've experience jitters and energy crashes with other pre-workouts before, so we were glad to avoid that with 4 Gauge. The only issue is the price. We were slightly reluctant to pay the $45 per bottle price, but this is a premium supplement that can't come any cheaper. After looking at the ingredient list and dosages, everything seemed worth the money - so we bought the 'Ultimate Ammo Stack', which reduced the cost of each bottle to $37,50. With this deal, we received free shipping too - and after being happy with 4 Gauge, we were glad we bought more than 1 bottle anyway. We were first attracted to 4 Gauge after being impressed with its ingredient list. And after trying it for ourselves, we can add that we're happy with how it works too. It's one of the best tasting pre-workouts we've tried, which always helps. But what really impressed us is this: the great effect it has on your gym sessions. Simply put, we made great progress in the gym - it made us more motivated to smash the weights and make muscle gains. Ultimately, this is our opinion, but we've reviewed many pre-workouts which have failed to deliver. For us, 4 Gauge is the full package. 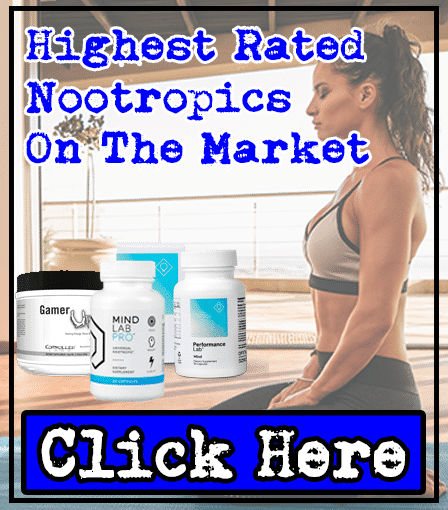 The only negatives are the price ($45 per bottle, or $37.50 in deals from their website) and that it contains 200mg Caffeine – but we’d rather pay more for a product that works if necessary. And for most people, this amount of caffeine will be harmless if not taken in the evenings. 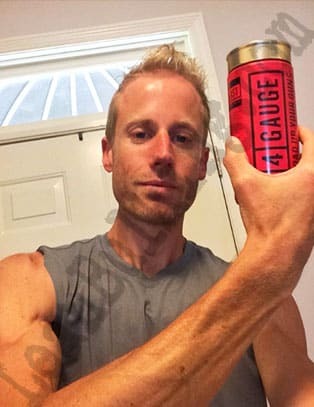 In summary, 4 Gauge is great pre-workout, if you’re looking for something with Caffeine included for quick energy boosts. If you want a non-stim pre-workout, take a look at Performance Lab’s Sport Pre. No artificial sweeteners? wont this taste like *ss? Hi Jeremy, thanks for reaching out! We thought the same thing, but we often suffer from side effects such as headaches after consuming artificial sweeteners. 4 Gauge actually ended up being one of the best tasting pre-workouts we’ve tried; we found this was because it contained Monk Fruit Extract, which is a 100& natural sweetener. Since finding this out, we’ve bought Monk Fruit Extract individually to add to our foods – it’s calorie free so is much better than sugar! Don’t hesitate to ask anymore questions, we’re always around! Hi BigJimmyH, thanks for reaching out! We’ve had the same problem before, and this is because many pre-workouts contain crazy amounts of caffeine. We like 4 Gauge, as it contains a sensible dosage (we always advise you to consume under 200mg caffeine per serving to stay safe from jitters and energy crashes). I hope this helps you, and remember to always check the ingredient lists of products, before you try it! Wat acrually is muscle pumps? Muscle Pumps are basically when your blood flow is increased (usually by a raise in nitric oxide levels), which cause your muscles to inflate – it makes you feel great, especially while bicep curling or pumping your legs! Alright, so apart from making you feel 5x bigger in the gym, it’s also able to improve your performance in the gym; as more blood and oxygen is reaching your muscles, it takes longer for your muscles to become fatigued, so your muscular endurance is enhanced. Not only that, the increase in blood flow has also shown to reduce muscular fatigue too, so you can get back in the gym feeling fresher. I’m looking for another pre workout and I was wondering if women use the 4 gauge brand? Thanks for reaching out! 4 Gauge isn’t created for a certain gender, so women can indeed use it 🙂 In fact, we mainly recommend non-gender orientated products, as those specifically aimed at women are usually less effective but simply contain some pink packaging. 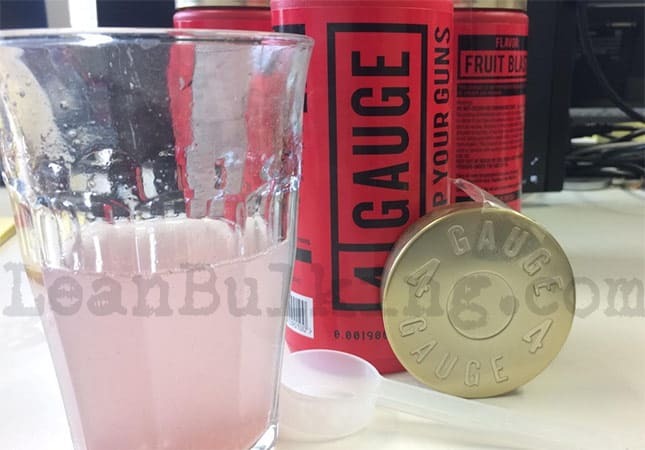 The only potential downside to 4 Gauge is that you can’t buy it in stores – only from its website https://www.4gauge.com – and it is slightly more expensive than other pre-workouts. But ultimately, it’s the only pre-workout that didn’t blow our head-off in a bad way and we’ve always been safe from jittery side effects while using it! I’ve been using Psychotic by Insane Labz and it definitely gives me a boost in the gym. Will 4 Gauge give me the energy Psychotic does? Also, have you heard anything about or tried Black Wolf Workout? Hi Justin, thanks for reaching out! It’s clear to see why you chose Psychotic by Insane Labz; it’s an extremely respectable pre-workout supplement and we also had great energy boosts when using it (sometimes a little too much energy!). However, personally, we believe 4 Gauge to be more of a ‘complete package’ due to it improving our muscle pumps in the gym – and everyone wants their arms to inflate when curling, right!? We also really like that L-Theanine has been added in 4 Gauge to help prevent those sensitive to caffeine from suffering jitters. So 4 Gauge also up there with the safest pre-workouts we’ve seen too. Ultimately, this is just our honest opinion. And we respect Insane Labz and their Psychotic product too! In answer to your last question, we’ll take a look at Black Wolf’s supplement for you in a review soon. I hope this helps, but feel free to ask us any further questions! I go to the gym at 5:15am every morning and recently hit a plateau. I need something to boost my energy in the mornings. 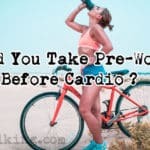 I’ve never tried a pre-workout drink and wanted to know if you would recommend this to women. I don’t want to get buffed up, i’m looking to get leaner and defined. Would this drink help me? Hi Rina, thanks for reaching out! 4 Gauge would indeed help boost your energy in the morning as it contains caffeine. A pre-workout won’t necessarily determine whether you get buffed up – that will depend on your diet and workout routine. It depends on your tolerance to Caffeine for the most part. If you never drink coffee or tea, then your tolerance is likely to be very low – if this is the case, a normal coffee will boost your energy enough. 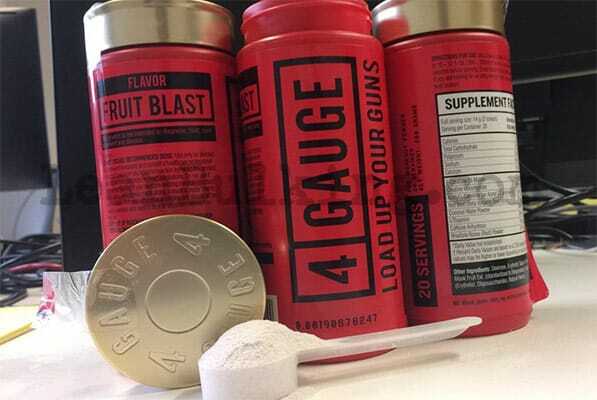 4 Gauge and other stimulant per-workouts are designed for those that consume caffeine on a daily basis and want that extra ‘kick’ if a cup of coffee won’t do it for them. and you can consume as much coffee with that as you like alongside it too if you wish. I hope this answer helps you, but feel free to message us if you have any further questions!